Art & Language is a shifting collaboration among conceptual artists that has undergone many changes since its inception in the late 1960s. 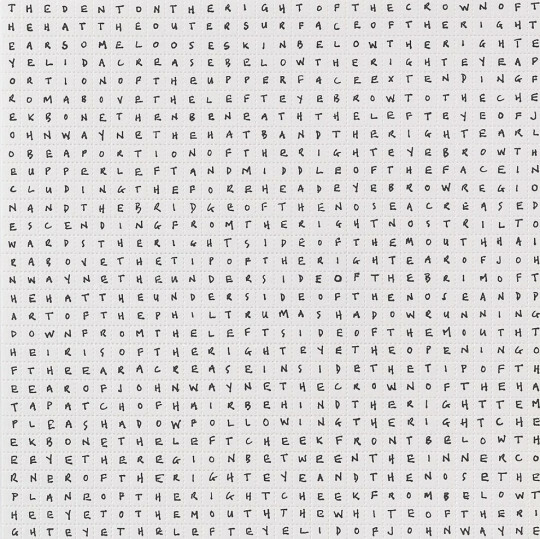 Their early work, as well as their journal Art-Language, first published in 1969, is regarded as an important influence on much conceptual art both in the United Kingdom and in the United States. The four founder members were Michael Baldwin, David Bainbridge, Terry Atkinson and Harold Hurrell. The critic and art historian Charles Harrison and the artist Mel Ramsden both became associated in 1970. Between 1968 and 1982, up to fifty people were associated in some way with the activities around the name Art & Language, publishing journals in London and New York and later producing paintings. Through these media, the group strove to questioned the critical assumptions of mainstream modern art practice and criticism. The works contained in this collection, and in that of the Tate Gallery are credited to Atkinson (1939- ) and Baldwin (1945 - ).